Will you join us there to support the fight for #Justice4NHS? Written by Jo Land, Chair of 999 Call for the NHS. I'm chair of 999 Call for the NHS, and I’m one of the ‘Darlo Mums’ who marched 300 miles from Jarrow to London for the NHS in 2014. Tomorrow (Tues 20th) we are once again 'marching' to London to challenge the lawfulness of NHS England's proposed Integrated Care Provider (ICP) contract at the Court of Appeal. Our Appeal at the Royal Courts of Justice is a last-ditch attempt to stop this contract. If used, it would irreparably damage the universal comprehensive NHS that we all depend on, since its payment mechanism is essentially a cost-cutting measure designed to “manage demand” for NHS treatments. In other words: cuts to services. The ICP contract was the subject of a recent We Own It petition signed by over 32,000 people that 999 helped to hand in to the Department of Health on 26th October. This contract was formerly known as the Accountable Care Organisation contract. To distract attention from the terrible connotations of being associated with the US Accountable Care Organisations, NHS England renamed it the Integrated Care Provider contract. But we're not fooled. It's essentially a contract based on the US model with the same damaging payment mechanism. And it needs to be stopped. By forcing NHS Providers to accept a fixed annual sum at the beginning of the year and to estimate their services ahead of actual delivery - taking no account of increases in demand, or how poorly the patients are, and making decisions based purely on financial risk not clinical need, NHS England are changing the focus and ethos of our NHS. They call it 'demand management'. We call it what it is: cuts to services. More and more treatments will cease to be available, and more people will find themselves having to go private – or go without. NHS England recently consulted on proposals to cease offering 17 elective procedures on the NHS that they claim to be of “low clinical value” These new contracts, if implemented, will cement further cuts lasting for 5-10 years. Even a change in government won't be able to do anything about it because of complicated contract law. We believe that that the payment mechanism within the contract is unlawful. If the management quango, NHS England, think they can bypass the law, what is the point of having our parliamentary democracy? Campaigners are rightly concerned that the ICP contracts could hand monopoly control of NHS services in an area to a private company. Health Secretary Matt Hancock gave the (completely empty) assurance that "the new ICP contract would not be given to the big health companies". We're not convinced by anything he has to say. Besides, even if these contracts are signed by NHS providers, they will still contain the new funding mechanisms that will be hugely damaging to patient care, forcing the NHS to work like an insurance provider - in a similar way to Medicare in the US. So, for now, it is irrelevant to worry who is the recipient of the ICP Contract. We need to concentrate on stopping it entering our NHS. The whole accountable care model is premised on undermining the doctor-patient relationship with the mass use of digital technology both in the attempt to cut the costs of treating high risk, high cost patients, and to cut the costs of doctors by substituting face to face consultations with online consultations and by the use of tick box digital clinical decision-making tools. We're convinced this seemingly innocent looking contract hides a fundamental attack on the core principle of the NHS - to provide high quality comprehensive healthcare for those in clinical need - regardless of social status and ability to pay. So, that's why we need your help. Tomorrow, Tuesday 20th November, we need as many people as possible to join us in solidarity outside the Royal Courts of Justice to show that we won’t stand by and watch our NHS being reduced to a limited two-tier health system - private for those who can afford it, poor quality care for the rest of us. Please bring placards, banners, things to make noise with, songs and chants. If you can, please wear something pink or yellow as these are the colours of our #Justice4NHS campaign. If you can’t be there in person, please follow us on social media and share our updates. 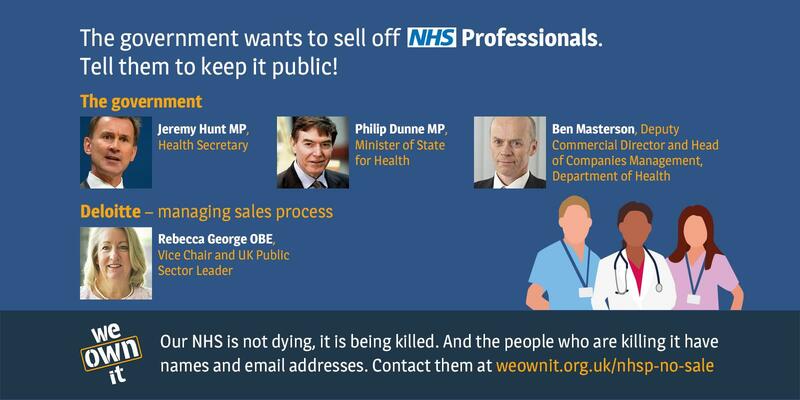 Everyone who cares about the NHS NEEDS to know about this case – and you can help. Best of luck with it all . Only a complete fool or a Tory would not support this petition. Wish I could be with you Solidarity!! I have been bleating on about this situation forever. What is it going to take before we teach these Tories the NHS is ours, it belongs to the people? All this began under Cameron and his broken promise there would be no top down reorganisation of the NHS. A deliberate lie. Once in power he gave the job to Andrew Rawnsly. And we all know the mess he made of things. 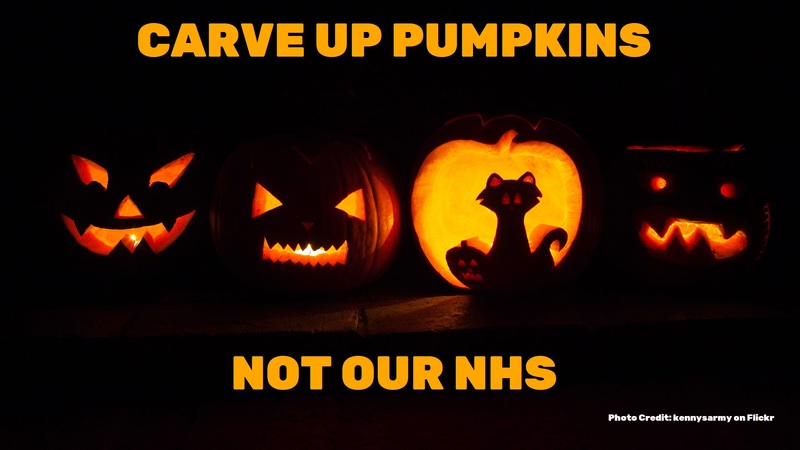 It has to stop or tomorrow there will be no NHS.